Home/Auto Headliner Faqs/More headliner questions/Have a W reg 2000 Honda Shuttle that needs the interior roof cloth replacing. 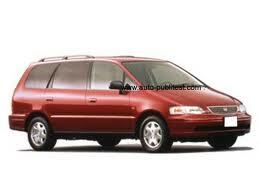 Have a W reg 2000 Honda Shuttle that needs the interior roof cloth replacing. Can you supply me with a kit and is it easy to fit? The Honda Shuttle is somewhat like a small minivan or sport utility vehicle. The headliner appears to be somewhere around 100 inches in length, although I am not sure. What I am sure of, is that the standard sized minivan headliner kit will work for this vehicle.